I wanted to add some more features to my original kittenproxy but quickly found during its development that PHP is still not a good programming language. Wanting to put my new skills in functional programming to use, I rewrote the whole thing in Scala using the Play Framework. This new version also features a simple web application that presents all cat images that have been shown during the last 24 hours. Useful if a visitor finds an image particularly funny and would like to find out where it came from. The source code is available on Github and an in-game screenshot (same as in the original kittenproxy) is shown below for demonstration. 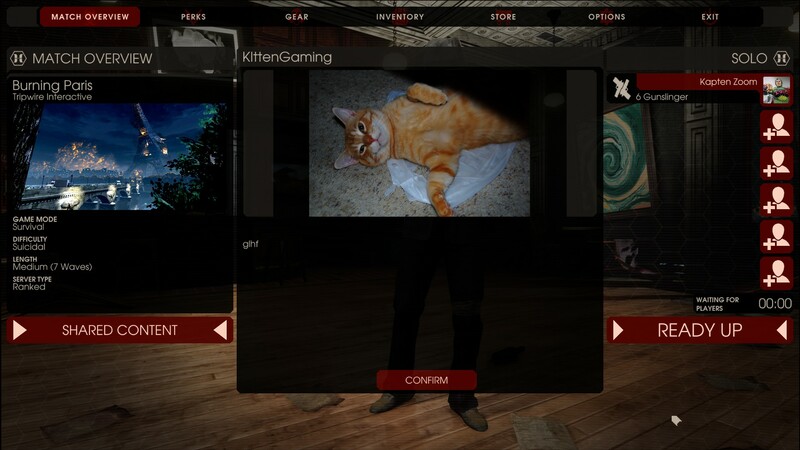 A running copy that provides my Killing Floor 2 server with kitten pictures can be found at kittenproxy.antoneliasson.se.